Renovations are already close to completion? There was only one small thing: wash it all out and arrange the furniture. But sometimes this is not as easy as it might seem at first glance. Well, if you only need to wash frozen on the floor the drops from water-based paint, but if you want to clean the surface of the liquid nails, you have a bit of a head smash. Again carefully read the accompanying instructions from the manufacturer of liquid nails. Along with the conditions for correct application of funds in it you will find recommendations for removing liquid nails. That is, if necessary, clean the surface from glue, you first can take the advice of the manufacturer. Studying the manual, pay attention to the kind you used construction adhesive. There are two types of liquid nails: the first is the solvent, and the second is made on water basis. In most cases, when choosing a particular construction glue, guided by one important criterion – that using liquid nails to stick together. Although nails are made water-based, characterized by ecological security, they freeze at a temperature less than five degrees. 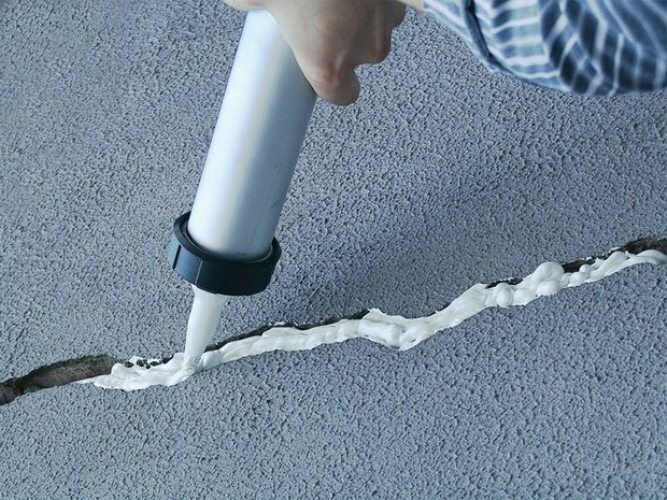 Construction adhesive solvent-based, hardens very quickly, but it is toxic, and therefore harmful to human health. Knowing exactly the kind you used liquid nails, it will be easier to understand than to clean them from the surface. If dripped on the floor or wall drop is still fresh (not managed construction adhesive to harden), try to scrub it with a soft dry cloth. If liquid nails is already seized, to clean a surface, for example floors or tile, first gently scrape with a knife construction, and then remove with a cloth soaked with acetone. Liquid nails can be used only in a strictly limited temperature range, that is, they are afraid of extremely low and extremely high temperatures. Therefore, to clean the surface from the construction of glue, heat it with a Hairdryer, and then remove the "melted" nails with a cloth and rinse off residues with a special tool-stripper. All wash – harsh substances, so working with them, be careful! If liquid nails has got to Wallpaper, another way to remove them how to cut neatly with a knife, no. If the result of such actions on the Wallpaper, there was a noticeable hole in this place, you can glue a decorative element or to arrange the furniture so that the defect is not conspicuous. Liquid nails is a modern gluing material that can withstand that kind of pressure, to make which possible only mounting bolts and other connecting components. But sometimes there comes a point when glued with liquid nails surface should be divided and remove glue residue. If the liquid nails was applied recently, and they did not have enough time to dry, then rinse off it the adhesive is ordinary tap water or the solvent is mineral based. Sealant have not had a good freeze, so it perfectly washed away these fluids. In that case, if the sealant has dried up, i.e. from the moment of its application was already quite a lot of time for removing liquid nails, use special cleaners. If no cleaners, for removal of solidified sealant, you can use a scraper. Clean the scraper very gently, so as not to damage the surface. Because the operating temperature of liquid nails varies from -40 to +50 degrees, and this adhesive is afraid of direct sunlight, keep the item that was previously glued using liquid nails for a while under direct sunlight (preferably in the yard was a hot summer day). Then, using the scraper will clean the surface. Remember: all cleaners and solvents on a mineral basis are aggressive substances, which can have a detrimental effect on unprotected skin. Work with them only with gloves! It should be remembered that liquid nails come in two varieties: water-based, and also solvent based. 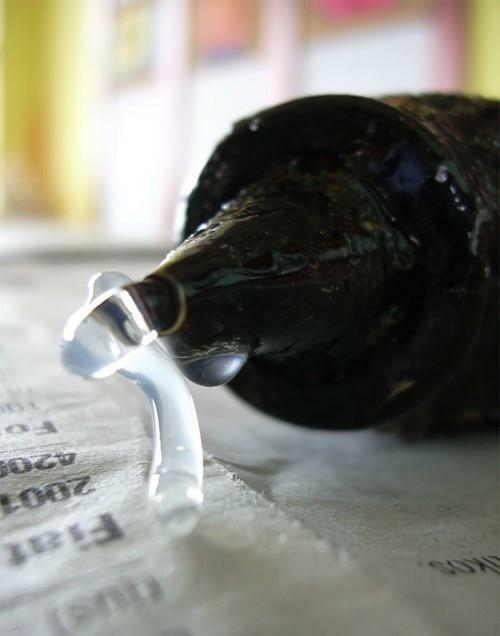 Depending on the adhesive requirements, choose one or another type of adhesive. So liquid nails perfectly cope with such tasks as gluing of rough and smooth surfaces, for bonding metal and wooden objects and so on. Liquid nails are a perfect adhesive material which can withstand even the weight pyatidesyatimetrovoy plate. Given these characteristics of liquid nails, to remove them you should pick up the special cleaners.